Weaving together beautiful storybook visuals that explore fertility, femininity and sexual desire “Miracle” takes the viewer along a twisting tale of blossoming vaginas and mystical intergalactic Aztecs. 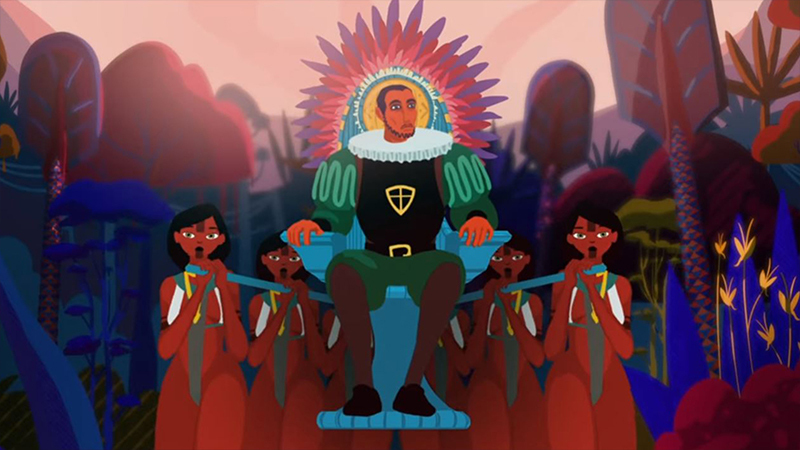 Double Ninja have previously produced two beautifully stylised music videos for Caravan Palace, “Lone Digger” and “Wonderland”, directed by Kevin Phung. Three years down the track and Double Ninja did not hesitate at all in accepting another opportunity to work with the band. “The process remaining the same, we could really do what we wanted. 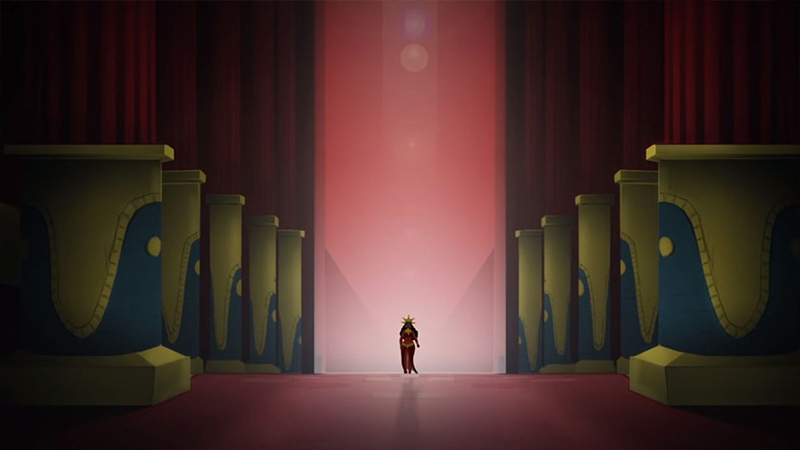 Caravan Palace are great for that, they trust us completely and we manage to find a beautiful artistic symbiosis with them.” Combining classic compositions with vibrant set designs “Miracle” gives the viewer a strong storybook feel, like a modern version of Disney’s “The Jungle Book”. Vernay continues: “There is often a tendency, in terms of staging, to favour slow or fixed shots. We make an animated music video as we would make it with a film crew. Currently, animation allows you to go where you want but personally, we don’t find it interesting to make the camera fly in all directions. It’s often a constraint that we set ourselves: thinking that a shot could have been filmed in person. We really want to thank the team of illustrators and animators who were really great”. Successfully sowing another seed into Double Ninja’s rising portfolio “Miracle” demonstrates the power of having strong artistic direction and a well thought out narrative, executed by a talented collaborative team of artists. Director/Writer: Double Ninja for Cumulus. Producer: Thomas Vernay. Production Manager: Mathias Lemaitre Sgard. A&R: Thomas Vernay and Mathias Lemaitre Sgard. 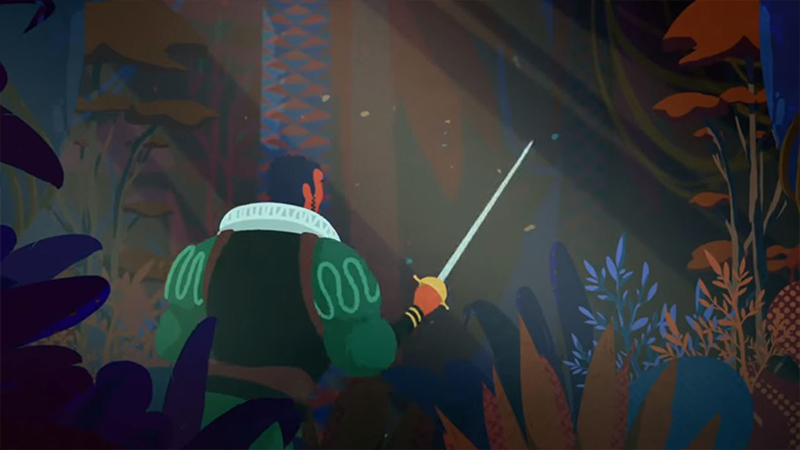 Character Design, Animation: Mathias Lemaitre Sgard & Marie Houssin. Design, Layout: Victor Tissot, Nayla Vanderweyen, Maî-Suan Lepage, Gabriel Murgue, Marie Clerc. Design, Layout, Animation: Kora Von Prittwitz & Raoul Mallat. Design, Layout, Character Design: Martin Clerget. Layout: Augustin Discart. FX animation: Florent Ribeyron. Animation: Arnaud Lefebvre, Victoria Pellet, Paul Raillard, Mylène Cagnoli. Font Design: Yann Wallaert.